Delta Community is a smart alternative to a bank. We've been around for more than 70 years and are one of the largest financial institutions in Georgia. 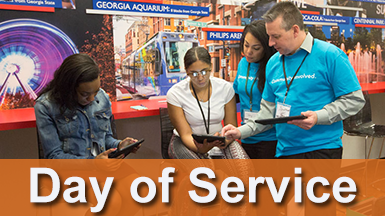 Today we serve all of metro Atlanta through our 24 branch locations. We're different from traditional banks because we choose to give back our earnings to our customers in tangible ways. They love that we're simple, friendly and all about helping them make smart decisions. We offer a variety of products ranging from checking accounts to a complete line of consumer and small business products to meet your needs. Delta Community Credit Union is a cooperative, owned and operated by its members.